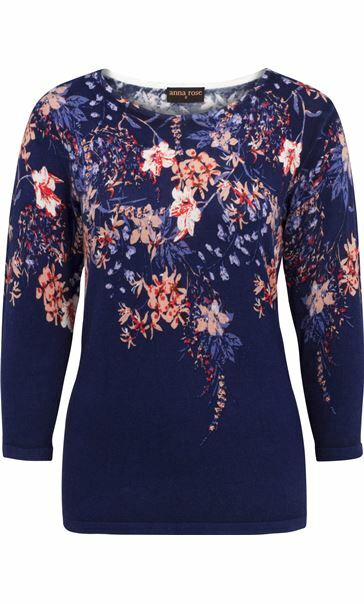 Add some floral to your knitwear collection with this lightweight soft knitted Anna Rose top. 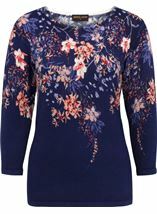 Featuring an embellished floral design, round neckline and three quarter length sleeves. 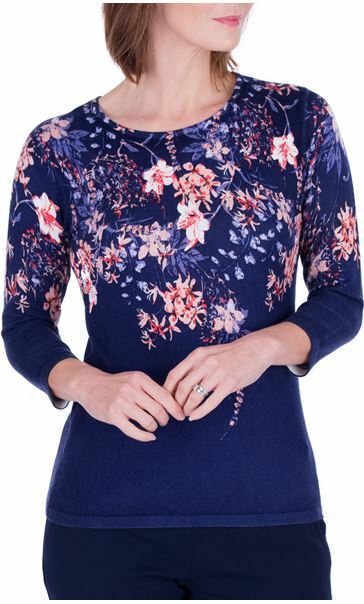 A lovely piece for your new season wardrobe. Back length 63cms. Composition: 80% viscose, 20% polyamide exclusive of all other trims. 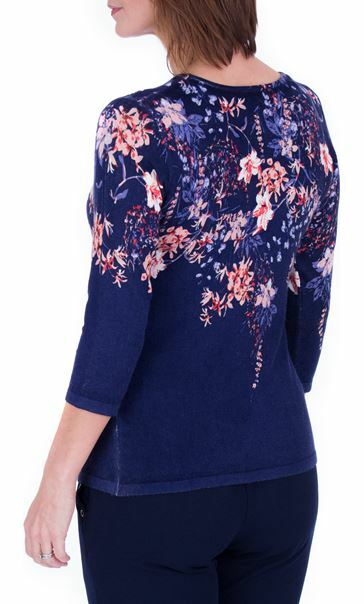 This style has an individual look which has been achieved by a special printing technique. 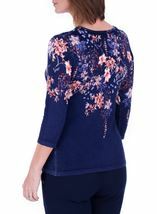 The special printing is done in a way in which the print is finished different for each customer creating a unique look.